Category: MER – REAL OR FAKE? By Desikachari “Desika” Nadadur PhD. Dr. Nadadur is originally from India, and lives in the Greater Seattle Area in the State of Washington, U.S.A., with his wife and two children. Master of Science (M.S.) in Electrical Engineering, Gonzaga University, Spokane, WA, U.S.A. Doctor of Philosophy (Ph.D.) in Electrical Engineering with Dissertation in Image Processing and Computer Vision from University of Washington, Seattle, WA, U.S.A. This is a profound work by Dr. Nadadur, giving much fuel for Seekers’ everywhere at any stage. 1. You ask the questions, “Who am I? Where do I come from? What is reality? What is my purpose? What is this universe?” and so on in trying to understand yourself and the world you perceive. 2. You think that there is more to life than meets the physical eye. There is more than life itself. 3. You notice and feel a guiding hand in your life. 4. You experience and recognize serendipitous events in your life. 5. You are able to increasingly manifest your desires with minimal effort. The Reality that directed my experiences directs my life with or without ‘me’. 6. Your desires are increasingly becoming aligned with higher good of all (rather) than being ego-centric. No to becoming aligned with anything but Reality. That is not a choice. Neither is ego-centricity. Free will is available to all creatures of the material world within the bounds of their design and attributes. However, free will is not a spiritual option. 7. You highly value your intuition and inner guidance. No, they are two fruits of Reality for which I am gratefully humble. As such, they are beyond value. 8. You start to realize that your inner world of thoughts and emotions gives rise to your physical reality, and that sets you on a path to self-exploration and eventual self-realization. No. Reality set me on Its path. Mere self does not exist there. 9. You start to see divine in yourself, in everything and everyone. Everything lives in and has its being in Reality. It is a developing experience. 10.You value your consciousness and inner peace as the greatest wealth you have and you work diligently to expand it. No. It’s a gift that develops and expands of its own volition. Ordinarily, I don’t think humans would be entrusted with this consciousness. 11.You value personal experience over belief systems. 12.You start to realize that your body and mind are the temple of the divine, and you care for them as you would care for a newborn child. No. Reality cares for me. I try to listen but Reality does not need my help. (LOL). 13. Abundance of all kinds effortlessly flows into your life and sometimes you don’t even realize it. True, though Wants got in the way for far too long in my case. 14.You get mystical dreams and dream visitations by sages, saints and angels. No. Phenomena is a distraction. 15. You feel a strong connection to everything around you. Everything is me and I am That. It fits quietly and naturally into my passing life without demands or threats; giving never demanding. 16. You are more present in the now than worrying about the future or feeling guilty about the past. You may plan for a future goal, but not attached to the results, but work diligently on the now-task. Detachment is a gift of Reality. 17. You are comfortable with—maybe even excited about—the uncertainty of not knowing what the next moment will bring. No. Never think about that. 18. You start to notice that the sense of control you felt you wielded over your life and situations is slowly eroding, and is being replaced by a sense that a higher power is actually in control and that you are in for an exciting ride. 19. You are drawn to mystics and spiritually oriented people and their stories, books, and so on. 20. You have psychic abilities or are interested in cultivating them. Maybe, but why? Sounds like a human thing, a spiritual distraction … Human verities are culturally malleable – a distraction. 21. You have out of body and astral projection experiences either involuntarily or voluntarily. Other than that just some phenomena in meditation that is easily dealt with as I was taught. 22. You prefer internal rituals to external showings. 23. Your heart jumps for joy and you shed tears of joy, when you see a beautiful scenery, a child and anyone or anything that touches your heart. Any sudden, serendipitious awareness of the presence of Reality can overwhelm me physically and emotionally. 24. You see anyone sad or in trouble, you show deep compassion and try to alleviate their suffering. Yes, with frustration. All human pain seems self induced one way or another. Humans are at a very primitive stage. 25. You are independent and defy convention, but you are not arrogant. Independent and unconventional yes. But impatient with the nonconscious. I try to avoid them. 26. You see all as your equals, and not different from you. Potentially spiritually equal yes, but not equal as humans. Clearly, we are not born as equals though everyone should be given equality of opportunity as individuals. Only individuals matter to Reality, in my observations. 27. You are mistreated by someone, you don’t blame or complain, but you introspect and see what thoughts, feelings and energy that you are projecting that made the other person behave in that manner. No. Avoiding negative people and situations is spiritually important. 28. Conscious living is your life’s purpose and you love to help anybody who wants to live consciously. Yes. But people who want to live consciously are already on their way. “That which they seek seeks them” as the mystic tradition attests … but interfere cautiously, even if asked. Beware the untamed egos of the unconscious. They’ll maul you … Be humble, leg it (LOL). 29. Self-Surrender and Self-Awareness are your goals, too. They are fruits of the experience of Reality. They arrive axiomatically, unnoticed. 30. You practice being aware of and surrendering to the Higher (deeper) Self/Divine Self (or whatever name you choose to give it) within you, every moment. No need to try. It happens of itself. All is well. 31. You truly believe in the kingdom of heaven being within and know the divine as the formless omnipresence and omniscience. Mystics don’t have to believe. They know. They don’t need enticing with anthropological myths like “the kingdom of heaven” either. Also, Reality is greater than “omnipresence” or “omniscience”. Reality is not a human warlord. 32. You live life as if every moment is a miracle and know that you may not always understand it and you are okay with it. It never occurs to me to think about it. 33. You know that all paths that originated from the same source will all lead back to it, so you don’t need to fight for or defend your path. You truly believe in “live and let live”. 34. You know/feel that you are the microcosmic representation of the macrocosm—as within, so without. 35. You look at yourself in the mirror, and see a deep mystery staring back at you inviting you to explore. Until now you saw yourself as only a physical organism. Now, you see every cell of your body as a mysterious creation of divine love. No. If I think about it at all I wonder if humans are an accidental product of some ineffable process. 36. You experience moments of peace, bliss, and self-love that expand to include everything and everyone around you (and, BTW, they all benefit from it). Peace and bliss yes. But not self love! I love Reality. It never fails, is constant, a non stop blessing. 37. You are naturally attracted to mystical practices such as contemplation and meditation. This attraction comes without bidding. It seems to be a natural state for mystics. 38. You start to feel a tension within you between long held beliefs and your newly expanding consciousness and realize the falsity of those beliefs and start to let them go. Yes, that did happen, but long ago. 39. You experience and express more and more self-confidence and courage that results from your inner anchoring in peace and harmony and start to shed the fear-based living. Perhaps. But this sounds human, doesn’t sound spiritually important. 40. You realize that teachers, experiences and opportunities come to you, as if by magic, for you to learn and grow. Reality doesn’t need help with my learning and growthl These things were useful along the way but get less and less so. 41. You start to see mystery in everything you study. Spiritual literature that didn’t make sense to you before, suddenly starts to make sense. You start to see the spirit at work in all areas your life and fields of your study and work. True. But you learn to just focus on and trust Reality, to let go. If you have one or more of these qualities, you are (or becoming) a mystic. Mystics are created by the personal, individual mystical experience of Reality (MER) if my experiences are anything to go by. Despite reducing mysticism to the anthropormorphic mythomania of the existence of a God, this is a useful introduction to a subject much more profound than religions in general and Christianity in particular. nobody asks me; but if I am asked what it is and try to explain, I am baffled. VASISTHA*, A SPIRITUALLY SEMINAL TEXT? “There is but one consciousness which is pure, invisible, the subtlest of the subtle, tranquil, which is neither the world nor its activities. It is aware of itself: hence this Individual Self-hood arises. “This Individual Self perceives this unreal body as real. But when the Individual Self perceives it in the light of self-knowledge, this delusion vanishes, and the body also becomes utterly tranquil. Then the Individual Self does not perceive the body. “The confusion of the body with the self is the greatest delusion, which the light of the sun cannot dispel. The last book describes the state of enlightenment and bliss. (Wikipedia). The complete text of the Vasistha doesn’t mention the transformative experience as being spontaneous. It claims human effort can gain the experience. That’s not my experience. My experiences came to me unbidden, spontaneously, every year from the age of about 15 to late thirties. I have no knowledge of anything about me then or now that could possibly qualify me for such non human experiences.Accordingly, I am prejudiced to the acceptance of the Mystic Experience of Reality (MER) being caught, not taught. Since the Vasistha’s probable arrival in the 6th century it has become generally accepted that these experiences of absolute Reality and its gifts are consistently spontaneous and beyond any human experience or ability to create or imagine and are not accessible even by learning, religious or intellectual effort, practices or physical invocations. The experiences are now generally accepted and studied scientifically and academically around the world. However, where the experiences come from or their purpose is unknown, or at best only through scientific speculation. The Vasistha also seems to assert that this state of ultimate knowing (“cosmic consciousness”), is all about human development. Nowadays we’d say, “all about evolution”. Even if that is so, I have the strongest doubts such a fundamental, primal process of cosmic existence would be left to the stewardship of humans at this stage in human development. However, in my view, the insights of Vasistha make it a seminal read for the spiritually called and is available as an eBook. Check Wikipedia’s comprehensive entry first for a fuller introduction. 1. “Wisdom is both the knowledge of and judgment about “divine things” and the ability to judge and direct human affairs according to divine truth (I/I.1.6; I/II.69.3; II/II.8.6; II/II.45.1–5). COMMENT: So, is this the very heart and soul, of where religions get it wrong? Is this where the devil, so to speak, thwarts MER by diverting the truly divine into the merely human fabrications of “faith, hope and belief”? These three myths signify that those who practise them are ignorant of Reality. When you have experienced MER you don’t need “faith, hope and belief”, you know. 2. “Understanding is penetrating insight into the very heart of things, especially those higher truths that are necessary for our eternal salvation—in effect, the ability to “see” God (I/I.12.5; I/II.69.2; II/II.8.1–3). COMMENT: No one needs salvation. Salvation is an irrelevant manipulative human concept, nothing to do with a sinless Ultimate Reality. It is an oxymoron, an ignorant unspiritual presumption. As for “the ability to to see God”, I expected to see “God” in my MER experiences, though I was disappointed when I didn’t. I was however humbled by the joy of Ultimate Reality’s acceptance of me; and by the awe of its revelation of Existence. But if by “God” this “gift” means Reality, then there is nowhere Ultimate Reality isn’t and we ARE Reality – whether Reality is seen, known, realised or not. In so far as we are chosen then we experience Reality AS us, and we are Reality. 4. “Fortitude denotes a firmness of mind in doing good and in avoiding evil, particularly when it is difficult or dangerous to do so, and the confidence to overcome all obstacles, even deadly ones, by virtue of the assurance of everlasting life (I/II.61.3; II/II.123.2; II/II.139.1). COMMENT: Seekers not yet fulfilled will find fortitude a necessary discipline perhaps, but not those who have experienced MER, to whom fortitude is no longer relevant. There are no obstacles of manmade “spiritual” inventions, not even human darknesses like “evil”, in Reality. 5. “Knowledge is the ability to judge correctly about matters of faith and right action, so as to never wander from the straight path of justice (II/II.9.3). COMMENT: “Judge”, “faith”, “right action” and “path of justice”, are clear intentions to direct the experience of MER into mere human concerns. This is purely ignorant human religious devilry, however innocent; an attempted coup against Ultimate Reality. 6. “Piety is, principally, revering God with filial affection, paying worship and duty to God, paying due duty to all men on account of their relationship to God, and honoring the saints and not contradicting Scripture. The Latin word pietas denotes the reverence that we give to our father and to our country; since God is the Father of all, the worship of God is also called piety (I/II.68.4; II/II.121.1). COMMENT: The Reality experienced in MER cannot be reduced to any concept of “fillialness”, “piety”, “worship” or “duty”, “(national) patriotism”, or “saints”. These are man-made words; mindstuff. The god that requires such obeissance is insignificantly small, a human fiction. There are no names or descriptions in Reality. COMMENT: Fear of Reality is another oxymoron, a spiritually ignorant human supposition. MER is humbleness (not humility), joy, bliss, acceptance, belonging, complete oneness in everything that exists. Fear is a product of human darkness. It does not exist in Reality. Or is it a receiver for Ultimate Reality, MER? In a new research paper in Frontiers In Psychology, David A. Oakley and Peter Halligan argue that our personal awareness does not create, cause or choose our beliefs, feelings or perceptions. Instead, the contents of consciousness are generated “behind the scenes” by fast, efficient, non-conscious systems in our brains. They suggest we don’t consciously choose our thoughts or our feelings – we only become aware of them. They ask us to consider that all the neuropsychological processes responsible for moving the body or using words to form sentences take place without involving personal awareness. They believe the processes responsible for generating the contents of consciousness do the same. They write that their thinking has been influenced by research into neuropsychological and neuropsychiatric disorders, as well as more recent cognitive neuroscience studies using hypnosis. 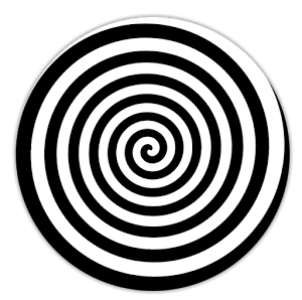 They say the studies using hypnosis show that a person’s mood, thoughts and perceptions can be profoundly altered by suggestion. They argue that the contents of consciousness are a subset of the experiences, emotions, thoughts and beliefs that are generated by non-conscious processes within our brains. So, they argue, it is the ability to communicate the contents of one’s personal narrative – and not personal awareness – that gives humans their unique evolutionary advantage. David A Oakley is Emeritus Professor of Psychology, UCL and Peter Halligan is Hon. Professor of Neuropsychology, Cardiff University. The full, unedited article was originally published by The Conversation, 22 November 2017, and as a research paper in Frontiers In Psychology, an open-access peer-reviewed academic journal covering all aspects of psychology. The magazine is claimed to be the largest journal in its field, publishing rigorously peer-reviewed research across the psychological sciences, from clinical research to cognitive science, from perception to consciousness, from imaging studies to human factors, and from animal cognition to social psychology. My annual multiple experiences of this mystical experience of Reality (M.E.R.) from the age of approximately late 14 to mid 30’s suggested the experience has no physical or human provenance. Beware fake mystics or mere experiencers of human phenomena or ‘miracles’. The conclusion is that MER cannot be communicated, evangelised or proseletised, as even scientists are discovering, to their frustration. Modern scientists are calling the gap between science and the mystical experience, the Abyss or Void. (While this suggests science might be a dead end, mystics are suggesting the experience isn’t – it’s far from dead, it is part of the very essence of the evolutionary process, without any need of phenomena or miracles). In fact, it seems any human attempt to access the phenomena has been made impossible by a simple firewall with an unbreakable password – that password being the actual experience itself. So no one can conjure up the experience or bestow it on others. It comes spontaneously. It does not even commonly use language to express itself. Whatever there is to know, experiencers then know. Whoever experiences MER has no need of hope, faith, or belief because they then KNOW the Reality it reveals. There is no understanding of this method of communication known to mankind so far. My experiences were given in a void of all human senses or attachments. The experience does not use the senses. MER is the existential essence of Reality, the very foundation of all existence. It has no physical characteristics, is indescribable but undeniable; ineffable. It can only be accessed by experiencing it, and it decides who or what can experience it. No amount of goodness or charity, meditation, scholarly study or intellectual application, no religiosity, hope, faith or belief can qualify anyone to open up the experience to themselves or others, not to individuals, countries, political movements, ideologies, reason, logic or intuition. As explained elsewhere in this blog, the overwhelming experience is one of complete, inextinguishable personal acceptance by the experiencer of an infinitely vast, totally encompassing benign Reality that has a gentleness nurtured by its unassailable power. It gifts to the experiencer a level and strength of feeling of infinite gratitude, humility and joy generally unknown to human experience. Not everyone that experiences this mystical experience of Reality is called to tell about it, to become a teacher/guru or master. That includes me! Reality does its own evangelising. All I can trust myself to tell you from my experiences of this phenomena is there is more to life than being merely human. Reality will come for you when you’re ready. There are no losers. In the meantime, beware fake mystics and teachers who preach being a better human is what it’s all about. Tell that to the dinosaurs and the 99 per cent of all creatures that have become extinct since the world began … Only Reality remains for ever.